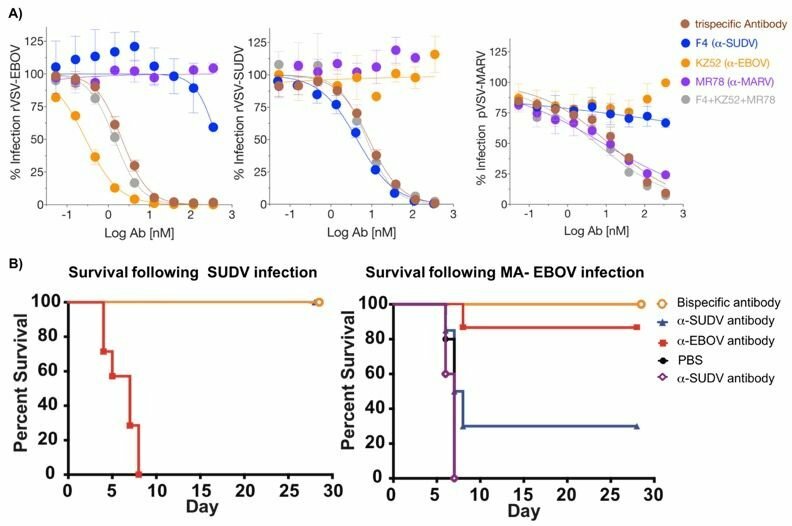 Monoclonal antibodies (mAbs) against the envelope glycoprotein represent a promising therapeutic platform for managing filovirus (Ebola) infections. However, mAbs that exhibit neutralization or protective properties against multiple filoviruses are rare. 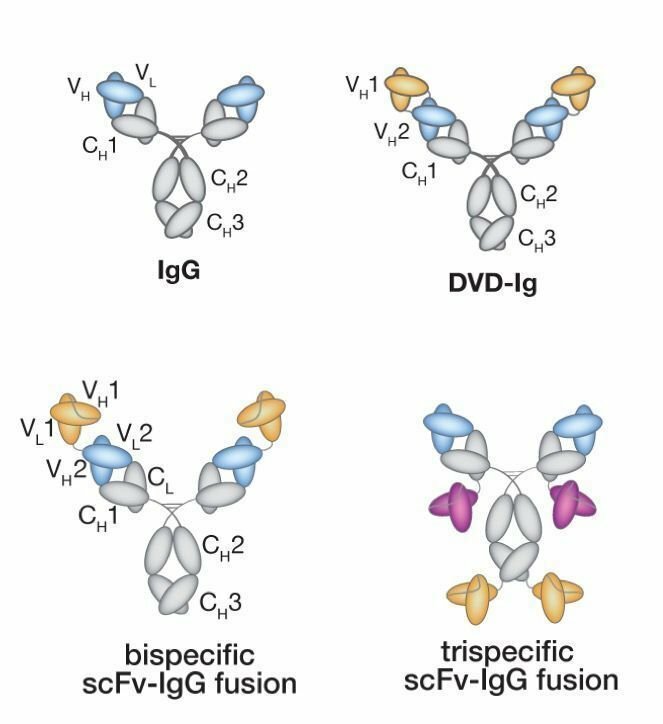 We examine a panel of engineered bi- and trispecific antibodies, of different formats (Figure 1). We have produced trispecific antibodies capable of neutralizing three filovirus species, and bispecific combinations that provide potent cross-protection in mice (Figure 2). Figure 1: Different bi- and trispecific formats. Figure 2: A) Trispecific antibody shows cross-species neutralization. B) Bispecific antibody exhibits cross-species protection in mice.